Jennie Fresa and her award-winning bridal team offer professional makeup, skincare, and hair styling services in-boutique and on-location to brides from New York City to Boston. Jennie’s 19 years of experience as a professional makeup artist & aesthetician, combined with her always on-trend bridal beauty creations & tips, are the reasons why we chose her as one of Lover.ly’s first Featured Experts. A bride’s wedding day fragrance is an important detail not to be overlooked. Our sense of smell triggers our memories, and the scent you wear for your wedding will always remind you of your special day. I suggest selecting a new perfume just for your wedding. Tuck it away after the wedding and wait to wear it again on your first anniversary. This is a really fun way to evoke all the memories from the day you walked down the aisle. 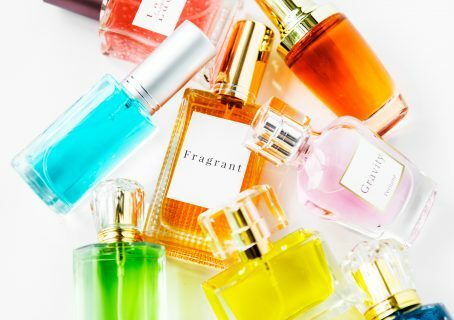 Deciding on the perfect fragrance, however, can be challenging. Here are a few tips to help you get started. 1. Think season. 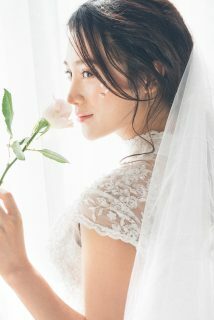 Are you a spring or summer bride? Citrus and floral scents work best for warmer months while spicy, woodsy scents are typically preferred during the Fall/Winter. One of my favorites for a summer bride is Kai Fragrance. In the fall, try Hermes Elixir Des Merveilles. 2. Try a sample. I recently discovered Lucky Scent, an online fragrance bar that houses a selection of rare and unique perfumes. Best of all, you can buy samples before committing to the purchase of a full size bottle. And you can always hit Sephora or the department store for samples to wear around for a day. 3. Know your options. For a softer effect, try a scented body lotion or hair perfume. Yes, hair perfume! If you’re a traditional bride, Chanel just launched their classic Coco Mademoiselle in a fresh hair mist.